Win a One Month Membership! Register to Win on the Form Below. 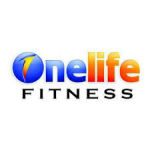 The Onelife Fitness club is now open at the Valley Mall in Hagerstown! Stop by on Tuesday, February 19th from 5-8pm for their grand opening party! There will be food, music, a photo booth, prizes and fun for all!